2018 the first of many ornament "bow wow's"
A new puppy so a new ornament. Of course the puppy likes everything. 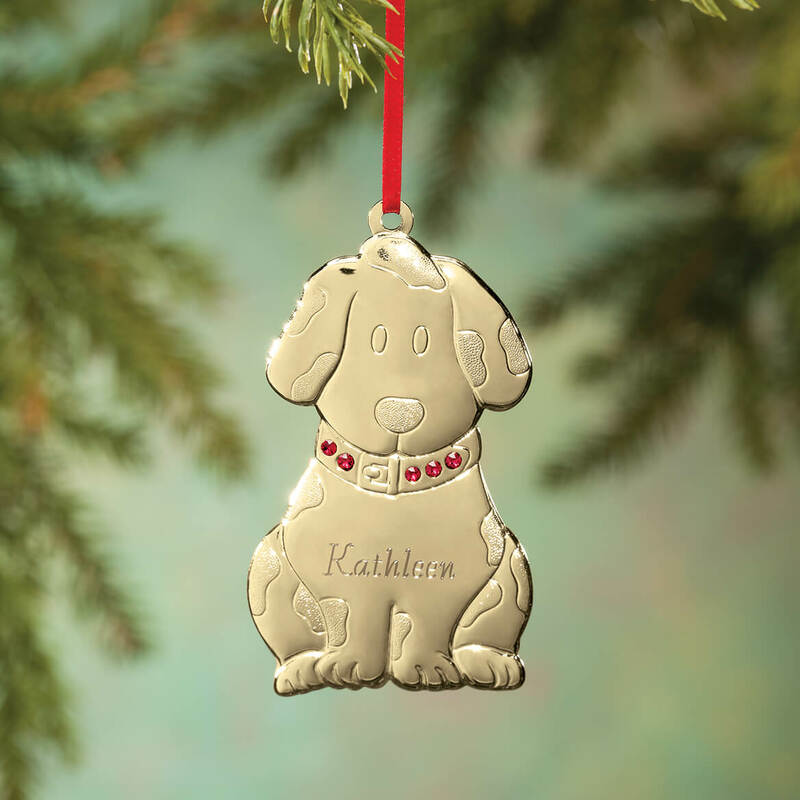 We started a tradition many years ago with the free personalized ornament with our pet's name and year. I think this will go on for many more to come! Will definitely continue buying them. 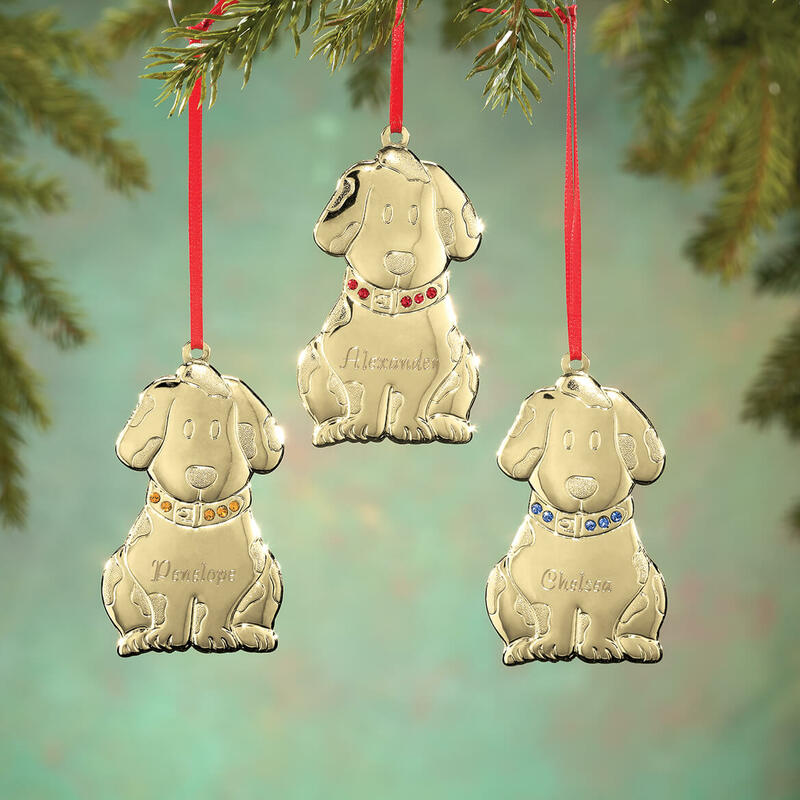 I got them as tree ornaments for all the family members with dogs with the dog's name and year engraved. Would make this purchase purchase again. I ordered Miles Kimball personalized ornaments for my family years ago and they are still go on the tree to this day. But these new ones are not the same quality -- very thin and tinny, not like the solid brass ones they used to make. i was disappointed. I expected a full bodied dog and not just a flat pressed image. I would not buy it again. Even the pets in your home need a special Christmas Ornament! This doggie will bring a smile to everyone’s face! 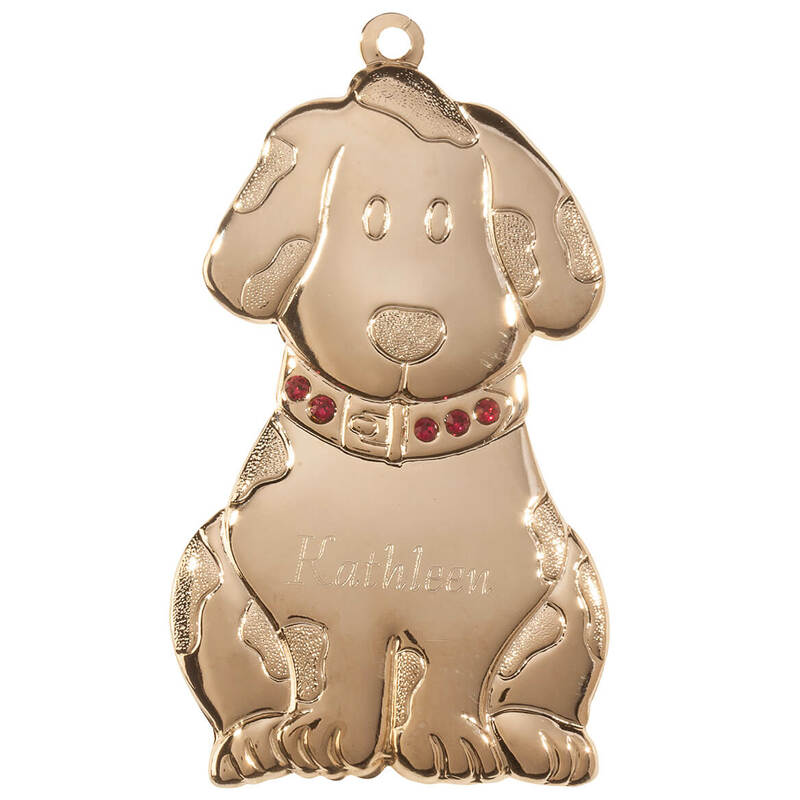 It's cute and l love the birthstones and personalizations for each of my grandkids! finally something new in this model. I have been collecting a different one every year for 36 years. It is getting hard to find one we don't already have. thank you! This is their new dog. Wanted her on their Christmas tree. For our pets & granddaughters we need more choices a tradition for 40 years.